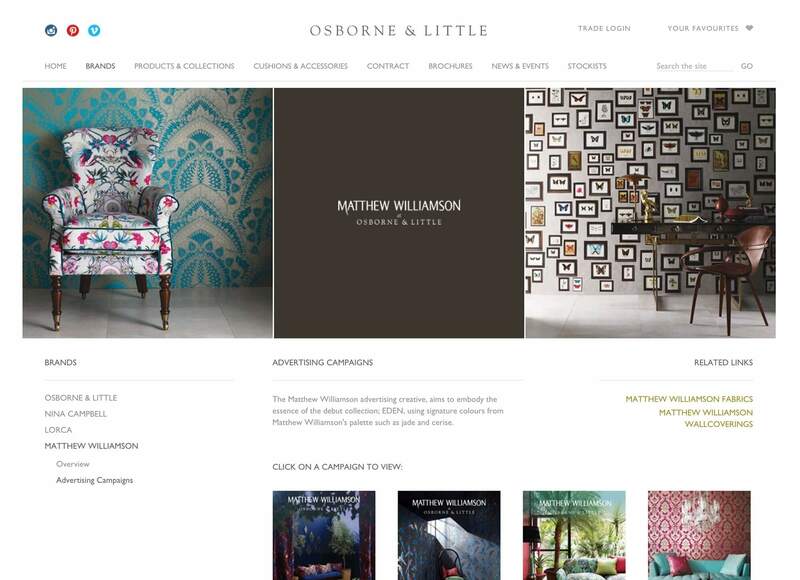 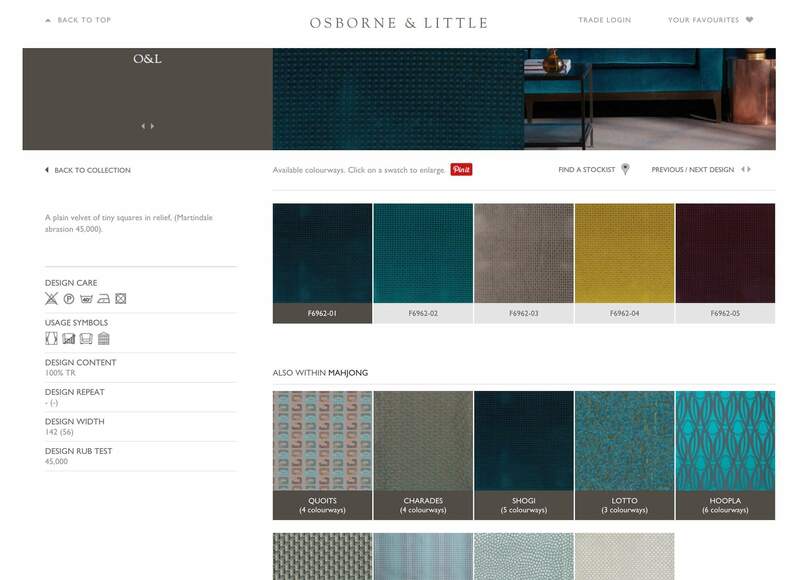 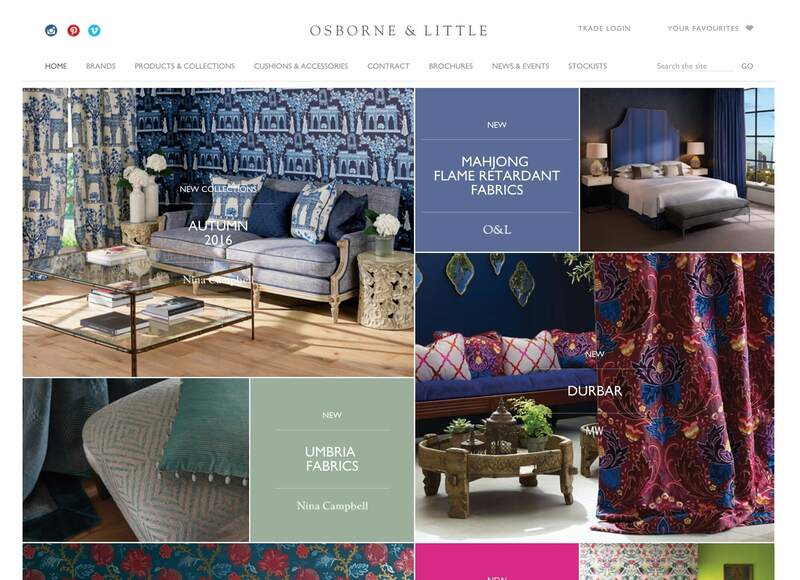 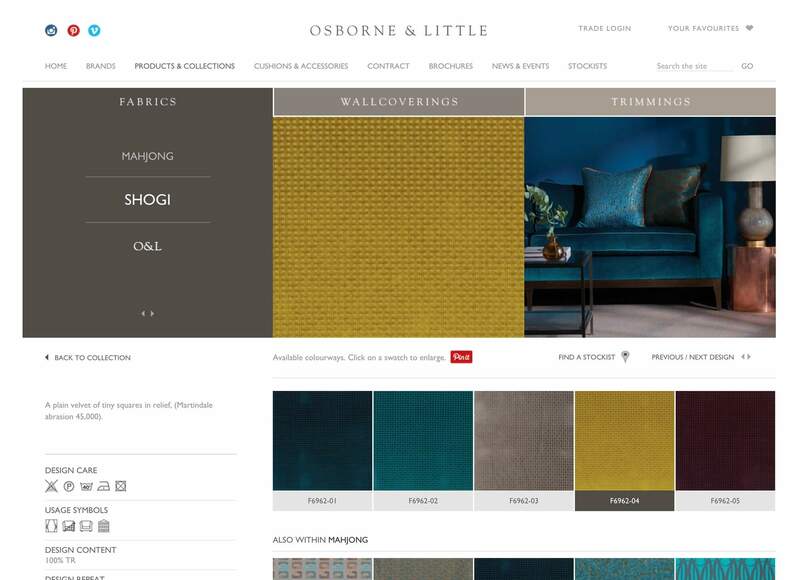 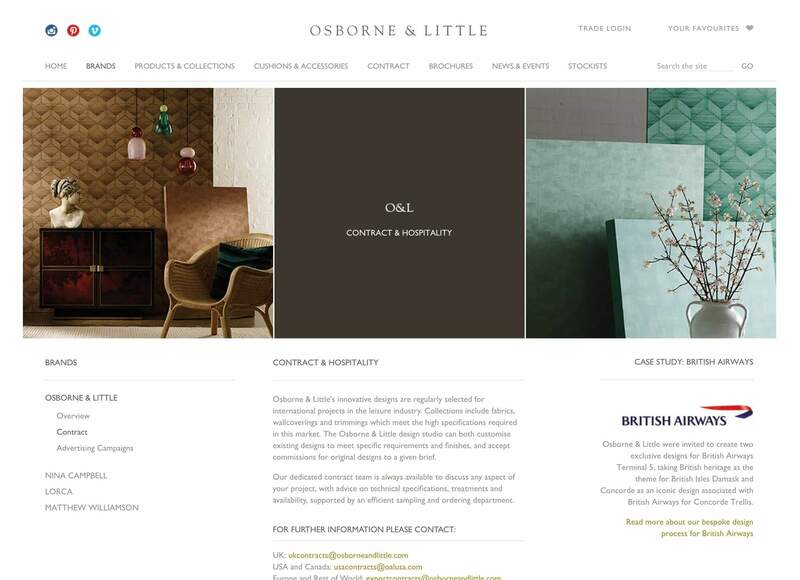 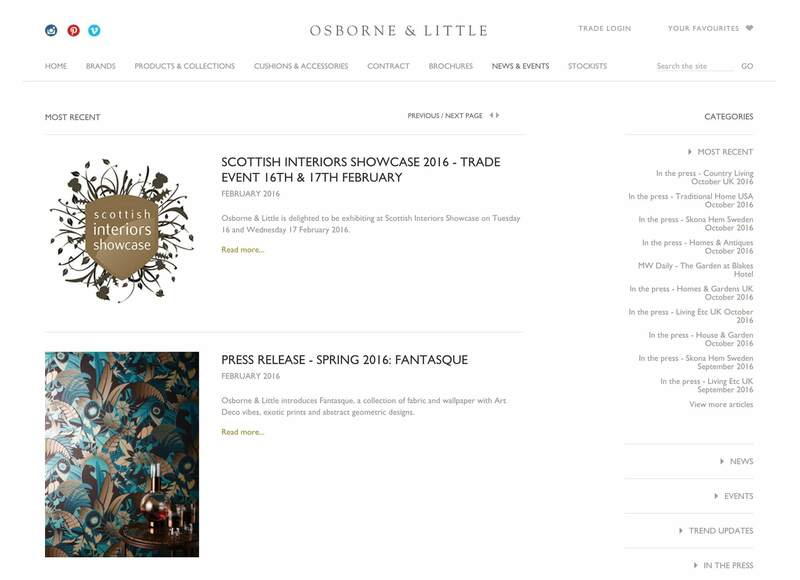 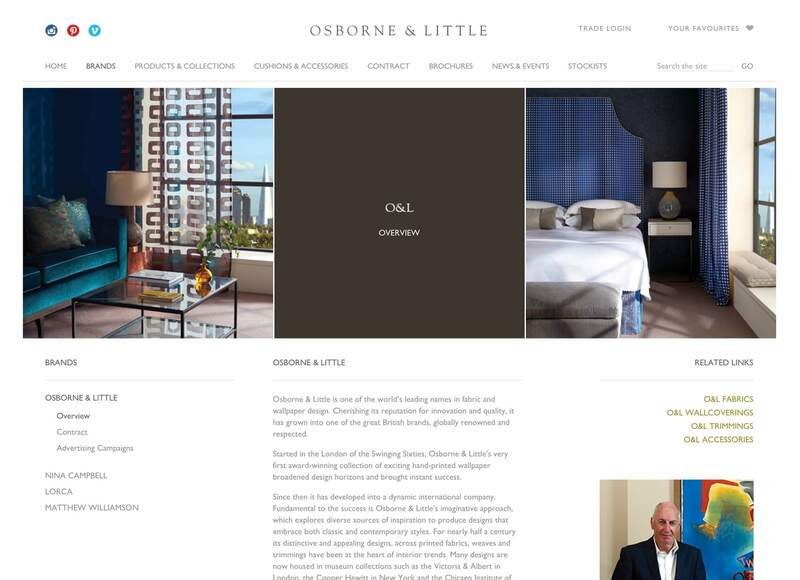 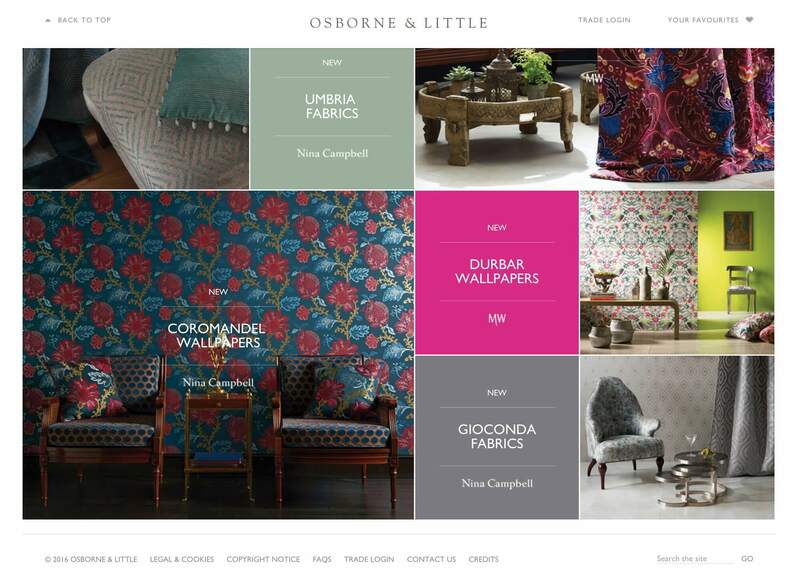 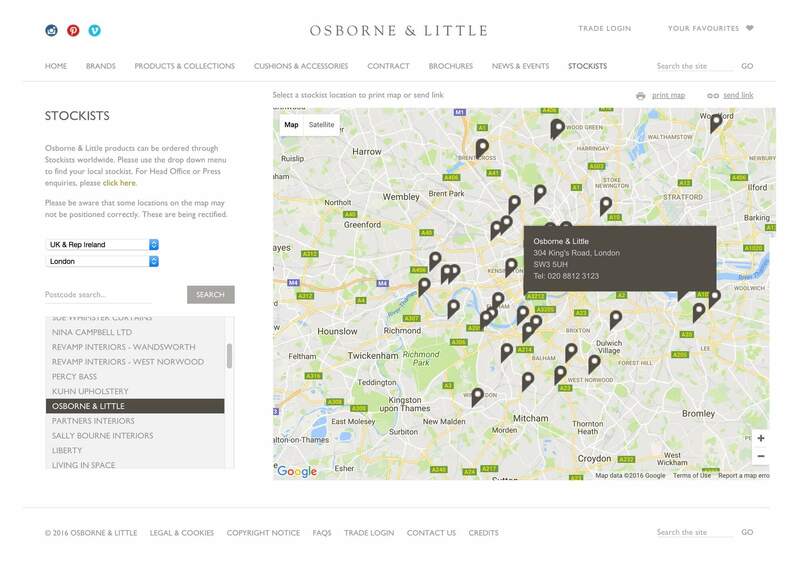 Luxury fabric and wallpaper designers Osborne & Little have been leading the world of interior furnishing since 1968. 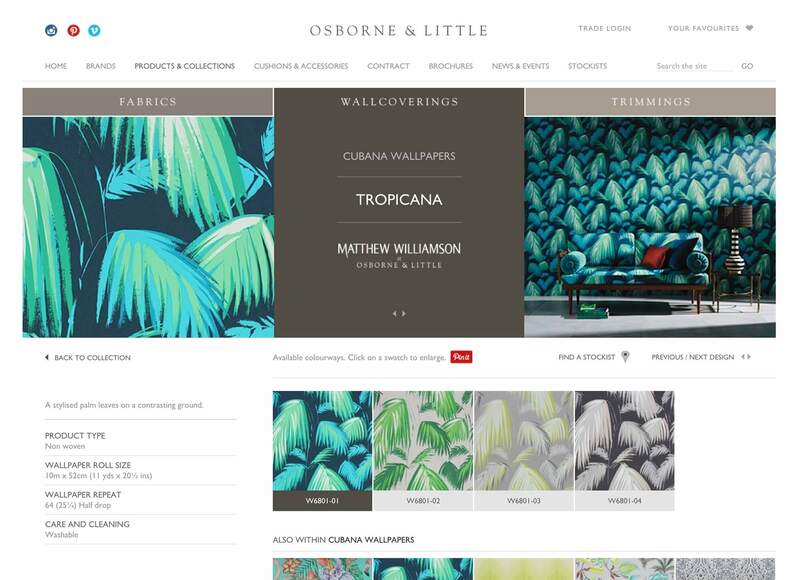 The company’s hand-printed wallpapers were inspired by everything from the designs of Aubrey Beardsley to the Brighton Pavilion and became known during the 1970s and ’80s for reinterpreting classic designs in new ways. 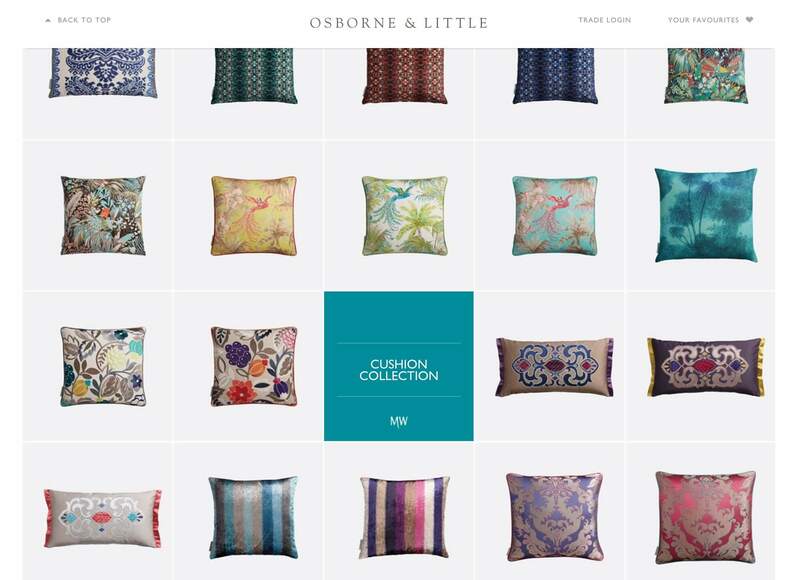 Their designs have become so iconic that they were among the brands included in the V&A’s recent British Design 1948-2012 exhibition. 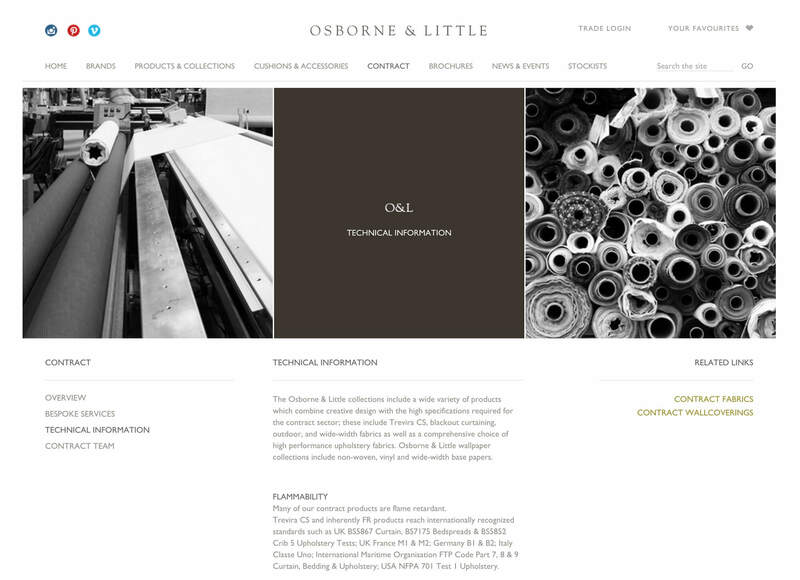 We were commissioned to redesign and completely reengineer the website. 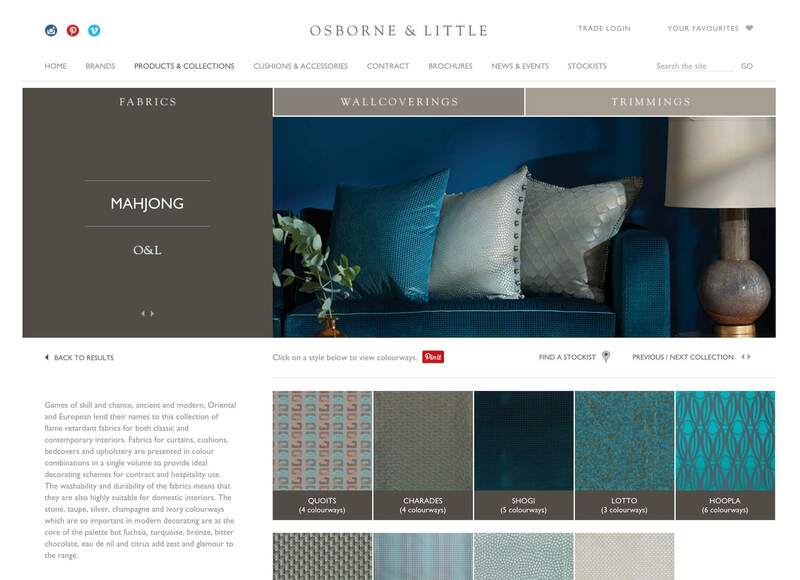 In doing so we developed a new way of managing and filtering their extensive range of fabrics and wallcoverings, furniture and accessories. 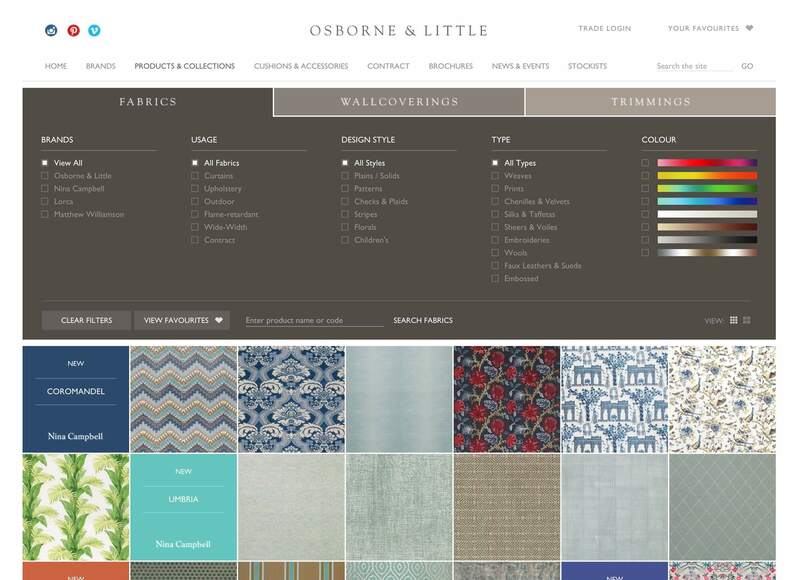 Visitors to the site can now relate fabrics and collections across the site, shortlist their swatches and share these via email or PDF. 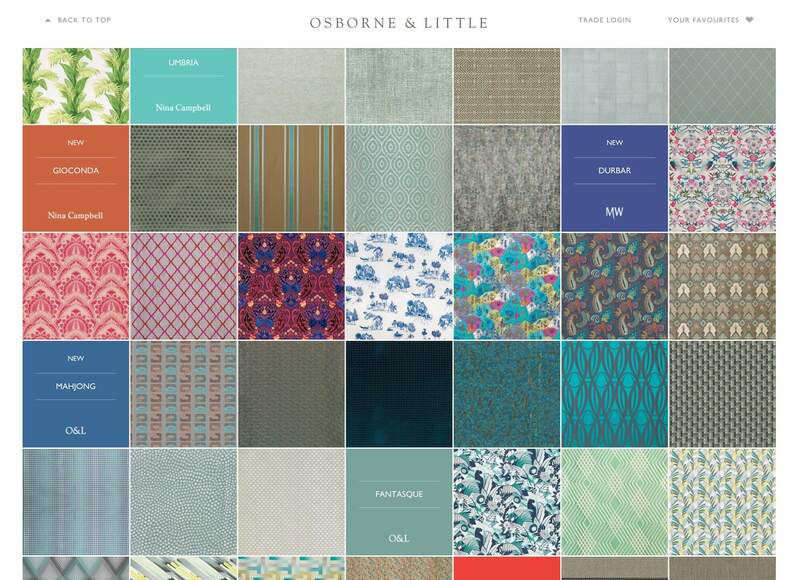 The vast array of fabrics and designs have become much more manageable and our work made such a difference to the speed and usability of the site, that it set a new standard for the sector.